B2B Marketer: You Paid for TOFU. Do you have MOFU? 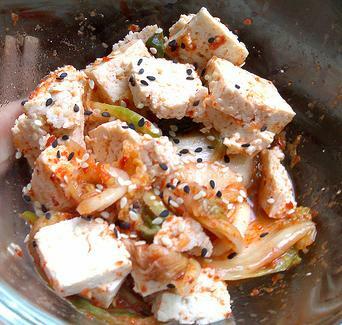 For a long time marketing departments have focused on TOFU, or top of the funnel lead generation. Now it’s time to also focus on MOFU, middle of the funnel qualified lead nurturing and development. You paid for search engine optimization (SEO), email and direct mail campaigns, trade shows, perhaps even advertising campaigns to get leads for your sales department. You may have qualified the leads before the great hand-off to sales, who worked with the lead through the sales cycle. This was your TOFU, or your activity generating leads at the top of the buying funnel. But don’t just expect sales to do all the work from here. B2B marketers need to invest more in MOFU, or middle of the funnel marketing activities. These include adding great content that helps and engages the buyer as they move through their buying process. The content can be delivered in a variety of ways (using traditional and social media tactics), including email, phone, webinars, video, eBooks, whitepapers and even snail mail! 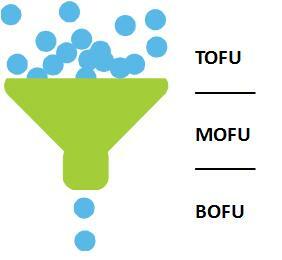 Great MOFU will get you to the bottom of the marketing funnel, BOFU. BOFU = the sale, and that’s where we want to get as efficiently as possible. For help in planning and creating your TOFU and MOFU marketing so you get to BOFU faster, contact us at New Incite today! Previous post: How to Blog: How Often Should I Blog? Does Your B2B Marketer Plagiarize like Melania Trump? 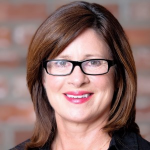 Is Your Marketing Plan SMART? Getting Visual with Your B2B Marketing: Pinterest or Instagram?